Mother Lode–2 chapters | Carol Sheldon writes books exploring times-past through mystery, love, betrayal and murder. Was Catherine’s mysterious death a horrible accident – or was it murder? MOTHER LODE is a psychological mystery set in the late 1800s during the heyday of copper mining in Michigan’s Upper Peninsula. A rough frontier state, the story deals with dark secrets and twisted passions that lie as deeply below the surface as the copper this community thrives on. Sheriff Foster tries to uncover the mysterious death of a town woman whose nineteen year old son is in jail as a suspect. What he discovers is shocking-about the mother-son relationship. What he does with this knowledge is both ingenious and affirming. READ FIRST 2 CHAPTERS NOW! “The memorable characters (Sheriff Foster, Jorie Radcliff and his mother Catherine) in Mother Lode by Carol Sheldon pulled me into the story-world and I did not want to leave them. I encourage writers to study this novel and learn Ms. Sheldon’s (also she’s a playwright) page-turning techniques. From first hook to crisis, to climax, to resolution–all beautifully plotted and narrated. Mother-Son relationship–edgy, innocent or guilty? Stunning story. What a reading experience!” . . .Teresa LeYung-Ryan, story-consultant and writer’s platform-building coach; author of Love Made of Heart and of Writer’s Platform & Fanbase In 22 Days. “Ms. Carol Sheldon, in her wonderful novel, Mother Lode, creates a world of harsh winters filled with tragedy and hope. She explores many of the darker areas of children who are forced to grow up under the fearful mercies of their parents and the introverted communities they live in. It is a story of love and pain, of excess, and of secrets. I enjoyed this book. The writing is excellent and the story telling is even better.” . . Gregory C. Randall, author of thrillers, novels and non-fiction. 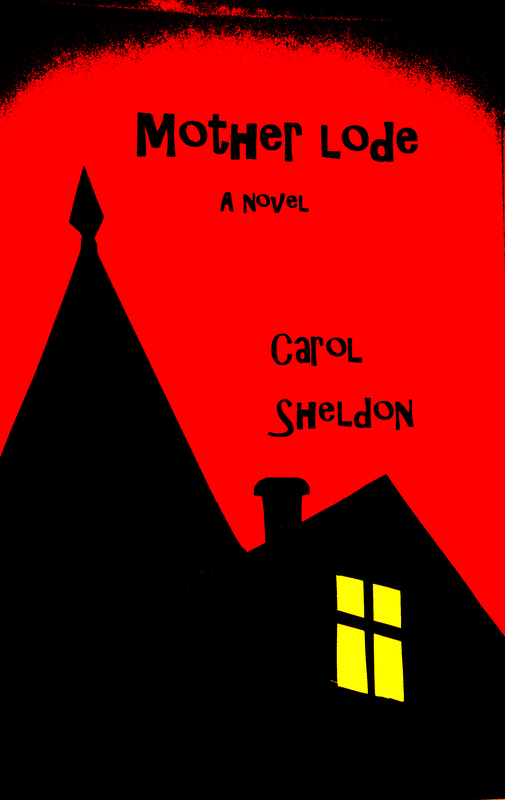 “Carol Sheldon is a master story-teller. The historic details, the film noir atmosphere, and the gradual revelations of each of the characters and their motivations are superb. From the first foreboding moment to the startling conclusion, this is a true page turner. I could not put it down.” . . Vicki Weiland, book doctor.